The passage of the Freedom of Information (FOI) bill, a measure institutionalizing transparency and accountability is what the Filipino people need to gain back the confidence and faith towards their government. With so much wrangling about bribery, malversation of public funds, graft and corruption in previous administrations one has to wonder if anyone could be held accountable for the messes done. With the passage of FOI bill and once becomes a law, it would empower ordinary citizens their right to know with transparency for every transaction entered into by the government especially when it comes to disbursement and allocation of public funds. Sen. Loren Legarda who co-authored the bill along with Senate minority leader Alan Peter Cayetano, explained that the various controversies in the past decade have left Filipino citizens doubting the capability of the government to do its mandate of serving the best interest of the people. She stressed that honesty, transparency and accountability must always be upheld to gain back the people’s confidence and faith in the bureaucracy. The Senator said the compulsory disclosure shall be done by posting the aforementioned documents on government websites for easy access, aside from providing these documents upon a person’s request. “Under this proposed measure, we aim to feed our people with information about us, the leaders they elected in office, and the businesses our offices deal with. 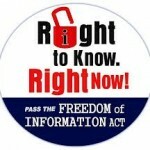 All government agencies will be mandated to disclose information on public interest transactions, documents or records,” she pointed out. Senate President Juan Ponce Enrile assured the Senate will approve the FOI bill which, if passed into law, would give even ordinary Filipinos, specially media members, access to information in the government offices. Senate committee on public information and mass media chairman Sen. Gregorio Honasan, the Senate bill would proceed to vote on second reading without a hitch so far. 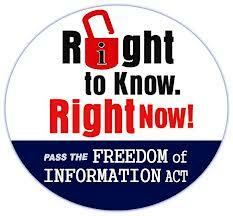 Senate Bill 3208 is an Act fortifying the people’s right of ownership over information held by the government.